George Galloway is a politician, writer and broadcaster. George entered Politics at an early age, joining the Labour Party aged just 13! By the age of 26 he became the youngest ever Chairman of the Labour Party in Scotland. As a teenager, he attended the famous Grosvenor Square demonstration against the Vietnam war in 1968, was active against the Greek Military Junta whilst still a schoolboy, and adopted the cause of Chilean refugees who were exiled by the military dictatorship of General Pinochet. 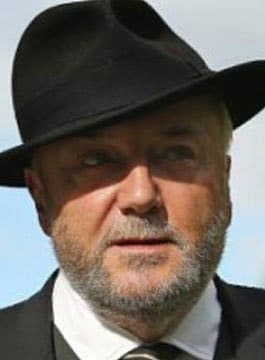 Galloway became an activist against Apartheid in South Africa (even travelling to the country at the behest of the ANC), and witnessed first-hand the atrocities and absurdities of racial segregation. He was awarded Pakistan’s two highest civil awards, for his work for the restoration of democracy in Pakistan and his work for the right of self-determination for Occupied Kashmir. In 1987 he defeated the former Chancellor and Home Secretary Roy Jenkins in Glasgow Hillhead constituency and became a Member of Parliament at the age of 32. Other than a two-year break, he remained in Parliament until 2015 and represented Glasgow, the East End of London and Bradford West. He took on the US senate and won. Over the decades in Parliament he have served four constituencies in two countries and won six elections. George’s political career is defined by his activism for social justice, anti-imperialist campaigning, fight against poverty, his support for Irish Unity, his activism against racism and Apartheid, his debates in Parliament, his public speaking, his opposition to the Iraq war and of course his fight for justice for the Palestinian people. George Galloway has fought against war all around the globe and will continue to do so. An experienced broadcaster, George presents The Mother of All Talk Shows on talkRADIO which is broadcast on Friday evenings. A popular guest speaker, George Galloway can deliver anecdotal and keynote presentations on a number of topics including Politics, World Affairs and History.